Now nestled in the hubbub of Grey Street, Unit 44 have been fine purveyors of unique, innovative and exciting contemporary art for four years. 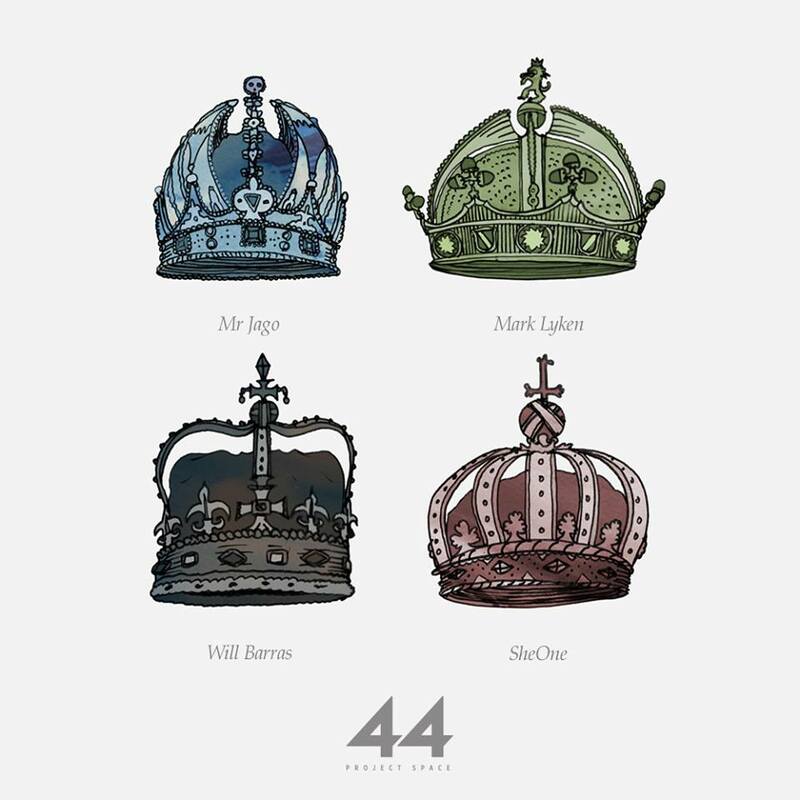 To celebrate reaching the milestone, the gallery are celebrating by presenting Four Kings on December 4th (naturally!) The quartet of artists are favourites of the gallery: Mark Lyken and Mr Jago are both newcomers to the space, but Will Barras and SheOne return to display their work. Each of the Four Kings will be displaying a large original painting each alongside a limited edition, hand coloured screen print to mark the occasion. An array of other works and some nifty gift ideas (perfect for Christmas…) will also be available at the event. It’s a loving way to celebrate the work and achievements of the gallery’s first four years as well as looking forward to a bright, equally engaging future. Four Kings takes place at Unit 44, Newcastle on Thursday 4th December. You can find out more – including about how to reserve tickets – on the event’s Facebook page.